As we all know, injuries and accidents can happen all year round, however, research has shown that this probability increases over the festive season and therefore meaning the risk can increase. 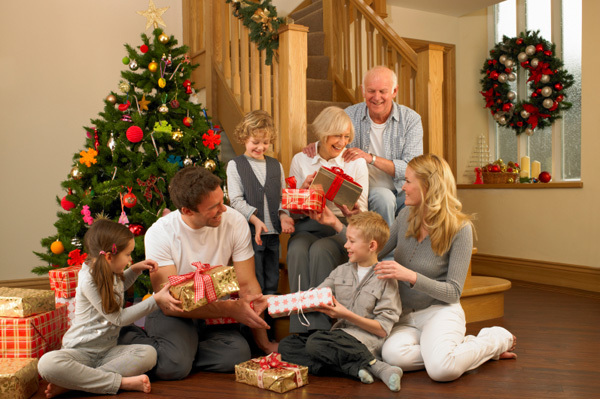 Being more aware and conscious of seasonal safety issues that may arise, you will be a step ahead and therefore in a much better position to protect not only yourself but your whole family! • With Christmas lights candles and Christmas cooking on stoves and grills , there is an increase with fires so please never leave these items unattended. • Keep all candles away from curtains and other material items that they might catch as well as pets and children. • Ensure your home has tested and working smoke alarms. It is worth testing them every month and to also replace the batteries twice a year, preferable every 6 months. • Particularly with the hot weather in WA, ensure to store handle all food with care to prevent and food poisoning and other related illnesses. • Wash your hands thoroughly with anti- bacterial wash, for example Dettol hand wash, and ensure that all of your cooking items are thoroughly washed before you use them for any cooking or storing. • Ensure that your kitchen is thoroughly clean – in particular surfaces – hot soapy water usually does the trick but be careful it’s not too hot for your hands! • Double check all cooking directions and use a food thermometer to make sure you cook all food to the correct temperature. • Keep all poultry, eggs and raw meat away from eating tables and benches. • Any foods that should be refrigerated should be put in the bin if it has been out for longer than 2 hours, so keep a watchful eye out for anything that has accidentally been left out. • Keep a special eye the children ,especially through all of the excitement and the anticipation of Santa Clause coming! • For particularly young infants and babies, keep all foods ( nuts and festive foods with small stones), and new toys away. • As you will be aware, drinking and driving accidents and fatalities increases over the festive season. Book a taxi in advance or plan with someone a ride home. • Always ensure your seat belt is on at all times, as well as all of your passengers. As well as safety risks there are also heavy fines for not wearing seat belts. • If you do need to drive, be extra vigilant of other drivers and road closures etc. • Although we are in a happy and joyous season, stress can also get the better of us. • Try not to go over board on spending – it is easy to get carried away especially with all of the sales from Boxing Day. • Don’t say ‘yes’ to every social event that you are invited to – just say no and enjoy relaxing family time. • If you feel yourself getting down or lonely this Christmas call helplines such as Beyond Blue and The Samaritans, if you feel you cannot call your family and friends to ensure you maintain a positive outlook.